You wished your memory was better and you could count cards memorize phone numbers and important dates well now you can. 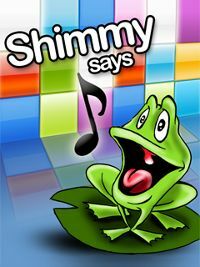 Shimmy the frog is here to help you train your memory. This Whacky frog will use sound and visuals to help you keep track of an ever growing sequence of squares you must repeat. Finish each difficulty mode to unlock it's achievement and let Shimmy reward you with a song at the end (only at the medium & hard modes). What are you waiting for? finishing the hard level is considered almost impossible so if you ever manage to do it share it on Shimmy's facebook page at http://www.facebook.com/ShimmyTheFrog so the world can see and amaze at your awesome skills.